I recently started following @darrenrovell, CNBC’s sports business reporter on Twitter and his background really caught my attention. It’s fairly simple, but descriptive in the brevity Twitter is known for. A basic headshot, his website, a couple of logos, but it was clean and professional looking. This got me thinking: what does my generic Twitter background say about me? Find your personal brand or theme and go with it. What makes you unique? If you had to choose just a couple things to represent yourself, what would they be? Use this as a starting point for your design and find ways to make your background really you. Work with a 1600w x 1200h pixel canvas and keep your sidebar around 200px wide because that’s about where the Twitter feed cuts off. Remember to keep it brief and meaningful. Aesthetics are everything! Select colors that are easy to read and work well with your background. Remember the 90s when people first started having their own websites? I remember using Papyrus font because it looked really cool, but it was very difficult to read, thus decreasing my viewership. Bright colors can be difficult to look at for very long as well as text without enough contrast from the background. Visually appealing design will keep your readers around much longer. Focus on the top left corner. Depending on your screen resolution, only a small portion of your background will be actually visible. Play around with backgrounds to see how they look and keep your vital information in the top left hand corner to maximize visibility. 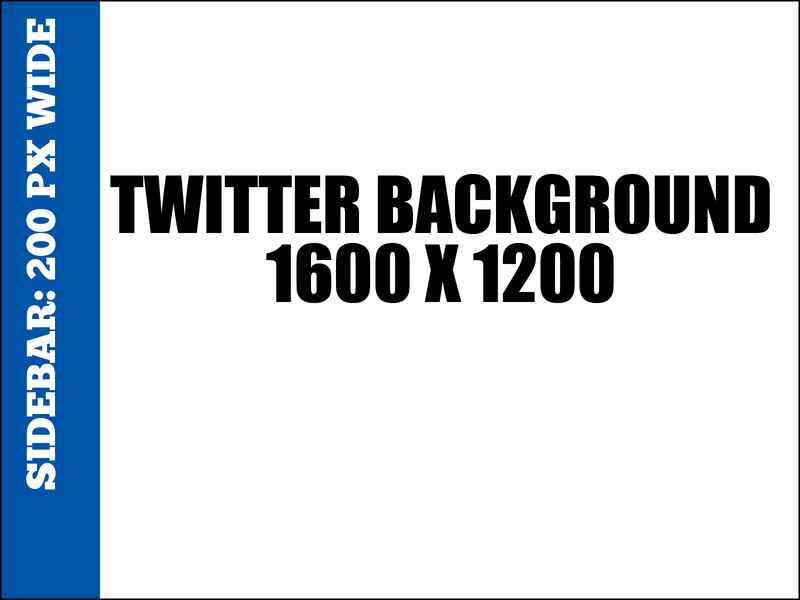 Having your own custom Twitter background can give you legitimacy as a Tweeter and show your personal or corporate brand. Creating a background is quite simple so give it a go and define yourself!